Let’s face it, buying new furniture is expensive. So expensive, in fact, that I’ve never actually done it (besides couches, because I’m not awesome/crazy enough to DIY a couch). There is also the problem that new furniture is, well… boring. To me it all looks the same and basically has zero personality. A great (and super cheap!) solution to this is to redo old furniture. But what do you do with your ratty old thrift store furniture once you get it home? The simplest and most dramatic way to give your furniture some personality is to paint it a bold color. I know, it’s scary…at first. But the chances are that you will love it, and your fierce new furniture will become your favorite things in your house. And if it doesn’t…then you can just paint it again. That’s the great thing about painting furniture, it’s cheap and easy to change. If you’re a neutral loving kinda gal, or if bold colors just aren’t your thing, then you can never go wrong by painting your furniture white. It’s crisp, clean, and matches everything. This kinda goes again the whole idea of the post, but I love natural wood. I think each room should include some natural elements in the design, and a beautiful piece of wooden furniture is the perfect place to do that. I actually don’t have a ton of examples of this, but I am currently on the hunt for two vintage dressers that I can use and leave beautiful and natural. 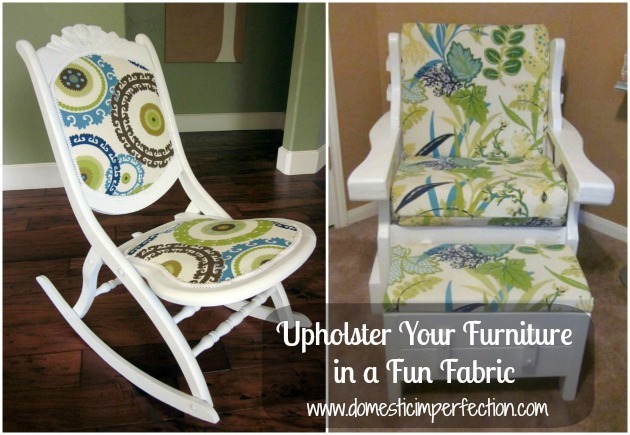 This is one of my favorite ways to redo furniture, it gives you the best of both worlds. Popular ways of doing this is to paint everything but the top, paint everything but the drawers, or to just paint the drawers and leave the rest wood. Paint and wood furniture posts – paisley stenciled table, Indian inlay stenciled table, small yellow shelf, funky side table, green dresser, porch entry table, union jack table, kids step stool. This technique gives beautiful results and is surprisingly easy. All you need is a flat surface, a few colors of stain, and some painters tape. 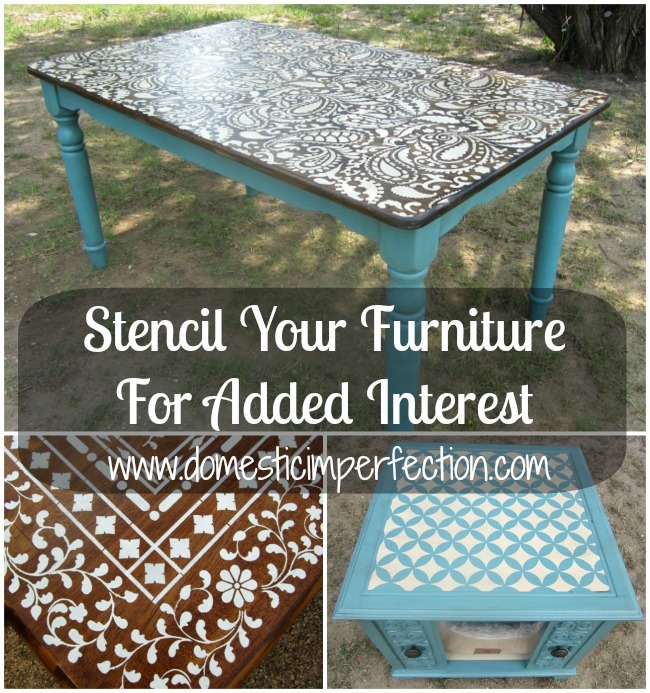 Stencils are a great way to add interest to your furniture. They are simple to use, fairly inexpensive, and can be used many many times (on more than just furniture!). Maybe you don’t have a stencil, don’t want to spend money on one, or just can’t find one you love. You still have lots of options! If you have a steady hand and a little artistic talent you can just hand paint a design onto your furniture. Even if you have no artistic talent you can do something like I did on my toy box – that design is done with a pattern I printed off the internet, transferred to a cereal box, and traced. Yes, the Dirty Cowboy Treatment, you read that correctly. This is my own twist on distressing furniture and you can GO HERE to read a full tutorial. If you don’t want your furniture to look pristine and new, but don’t want to look like it’s been through a hurricane then this is the look for you. 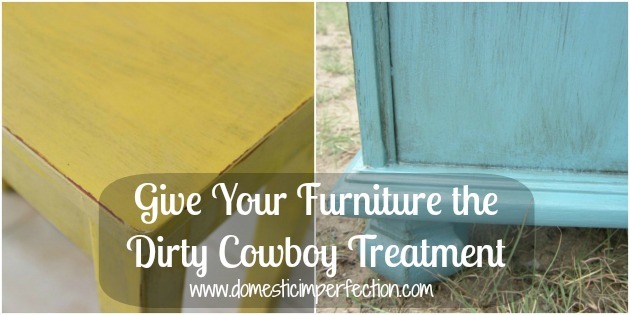 Furniture projects that include The Dirty Cowboy treatment – tutorial, dog house end table, yellow command center table, paisley stenciled table, and (kinda) children’s stepstools and growth charts. I’m not huge on distressing furniture, but I do like to give my my pieces a very slight distressing,…mostly because my kids are going to dent, chip, and distress it anyway, so I might as well be prepared. Distressing is incredibly easy to do, you literally just take sandpaper and sand the parts of the piece where paint would wear off after time (raised areas, corners, near handles, etc). You can do this lightly with fine grit sandpaper, heavier with gritty sandpaper, or you can take and orbital sander to it and distress the living daylights out if it…your call. Distressed furniture posts – the bed that almost killed me, crappy $5 table, yellow shelf, upcycled porch entry table, command center table …. This is another very easy way to add some subtle personality to your furniture. You can purchase the textured (and paintable!) wallpaper at hardware stores or you can buy it on Amazon. It’s simple to apply, I just used mod podge, painted it to match, and caulked the edges. For a full tutorial you can read the post below. Evidently for me, “fun fabric” means blues, greens, and white, haha. I like what I like! If your furniture needs some new upholstery then be bold and grab something fun. Look at that rocker, for example…. it wouldn’t be nearly as awesome if it had been upholstered something solid or neutral. 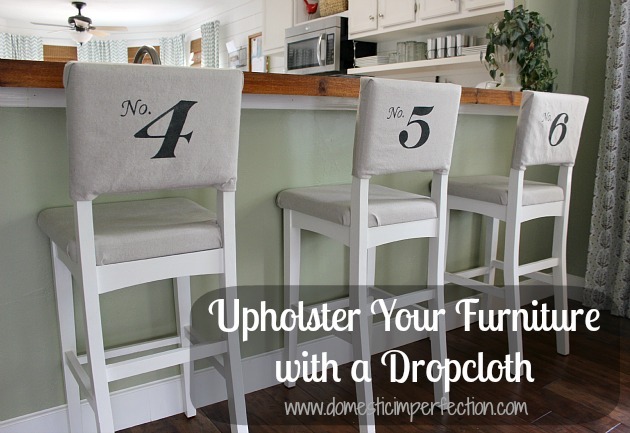 Yes, a dropcloth…like the scratchy fabric thing that you buy at hardware stores to catch paint. It makes a great material for furniture… it’s thick, durable, neutral, and relatively inexpensive. It almost has a natural fiber look, and if you throw it in the wash it actually comes out quite soft. Add something to your furniture that wasn’t there before. In the picture above I used scrapbook paper to give my file cabinet a tiled herringbone look, and I added yardsticks to my kids stepstool (which I think looks awesome). You can seriously add anything -nailhead trim, expanded metal, pennies, buttons, new hardware, photos, mirrors, tiles, stones, fabric, washers….do I need to continue? 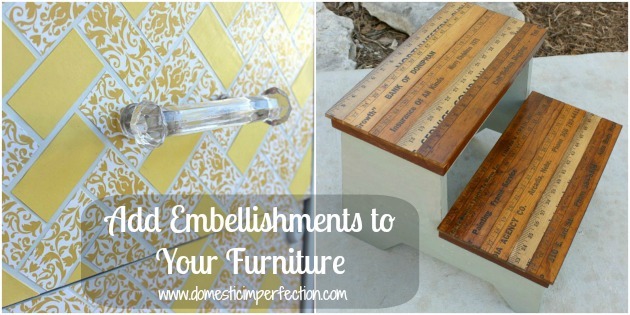 Furniture embellishment posts – file cabinet makeover, kids step stool, and penny countertop (not really a furniture project, but still applicable). Before you get rid of an old piece of furniture take a closer look and see if it can serve another purpose Dressers are great for this, I made one into a bathroom vanity and I have sitting in my garage waiting to be transformed into a media center, but you could also use them as buffets, changing tables, benches, bookshelves, sofa tables, potting benches, hall tables, kitchen islands, and a variety of other things. I’m sure you noticed that most of my projects were repeated a few times, and that’s because I usually do a few techniques on a single piece of furniture. The paisley stenciled table, for example, was painted a fun color, had natural wood, was stenciled, distressed, and dirty cowboyed. The hexagon leaf table was painted white, had a hand painted pattern, distressed, and glazed. Oh my gosh, glazed! I forgot to add that one. Surprise bonus way #16 – glaze your furniture. Haha. But really, just have fun with it. Break the rules., try new things you’re not sure will work, and make it yours. Great post Ashley! Love the way you put this all together! You are truly a pro! I have pinned it again! Hi Ashley! You are one talented girl! I love this post and how you compiled all of your techniques! I found you at the Haven page and see that we are from the same area. Would love to meet you!!! Can’t wait for August! I can’t wait either, it’s going to be a (very informative) blast! This is such a great round up and there is definitely some furniture in my house that needs to be updated and spruced up! Pinned for when I’m ready to tackle those projects! 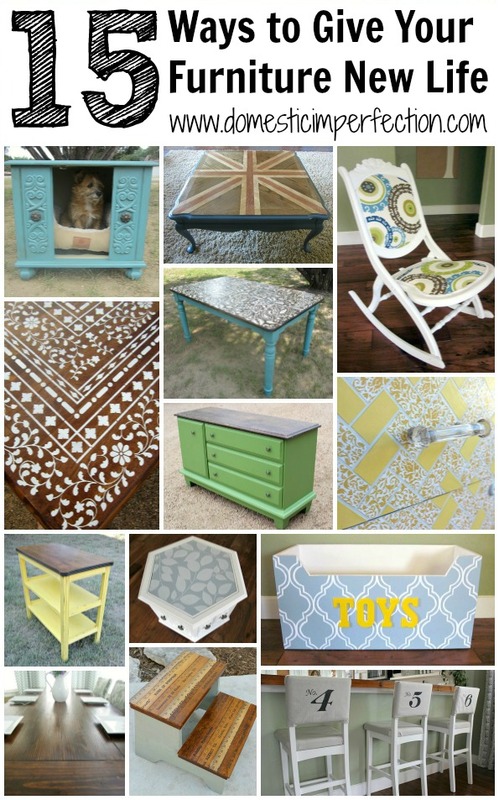 Love having a collage post of all the awesome things you’ve done to furniture! I’ve only done one piece myself (our ugly bathroom vanity, which turned out amazingly with a can of spray paint, gold stenciling, and some gold distressing), but we love to repurpose furniture! Our entertainment center consists of three bookcases, and I love it. I love that bathroom vanity! what a great pist, Ashley! love those stools! My favorite.. 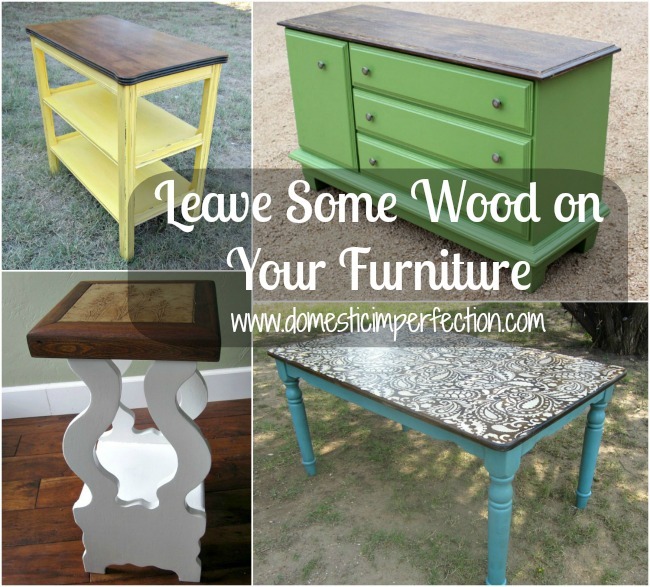 Paint your furniture… Don’t Paint your furniture! I LOVE it! But really… you are amazing. Every piece is just perfection. We’ve recently moved into a SEVERE fixer upper, and every dime is being stretched five different ways. While my Fiancee is worried about ripping down walls, and laying new flooring. I’m way more excited about finding new ways to decorate the place! Your post, inspired me to start revamping the furniture I have in the garage, waiting for a makeover. What a great article! You have been inspiring me for the last 14 months in my efforts in restoring furniture. 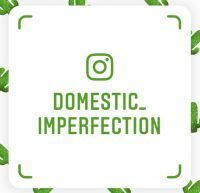 I have loved your low-budget, real life approach to home restoration and life in general. It remains one of my favourite blogs to read. 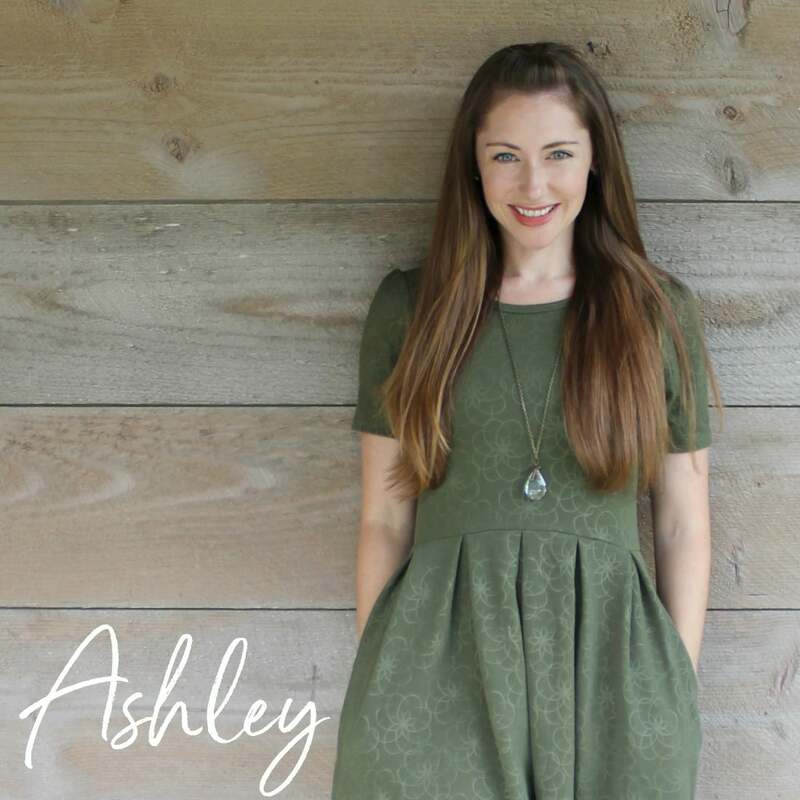 Ashley…great post! I’m one that has always loved picking up cast-off furniture and remaking them into something for our home. When we were first married, we didn’t have the money to spend on new furniture because we put everything into getting our small farm paid off as quickly as possible. Then 5 children later….still not a lot of money for furniture…but I’ve always been one to love the old, used and something with a story. I love your blog and you always crack me up with your down to earth style of writing! Great post! What a great post!! I’m going to share this on my Facebook page. Love it! Thanks for sharing, that’s awesome! Another great post Ashley! The fact, I keep coming back to this blog because of the useful tips you always shared. Just like in your latest post which I think can help lots of homeowners to save big money from furniture. They can do some make-over job to their old furniture instead of buying new ones which can cost them thousands of dollars. What a great grouping of tips!! I love to paint everything!! I love these ideas! I know many times that if an item just had the “new look you’re going for”, that many of us would keep our existing items, saving space in landfills and saving ourselves money! Great article with awesome pics; thanks for sharing! 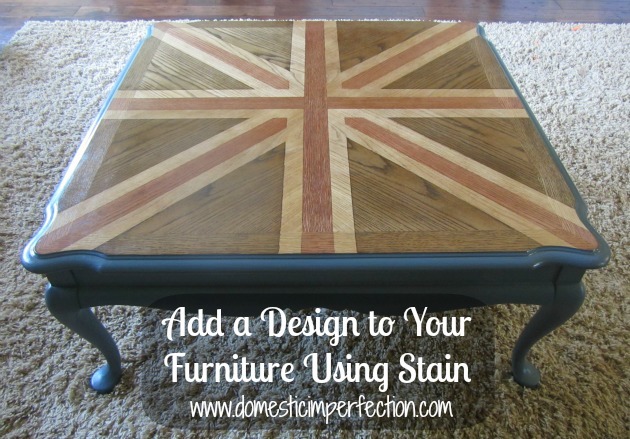 I’m really impressed with the Union Jack coffee table. You don’t always have to strip and refinish furniture to give it new meaning. As the flag inspired coffee table shows, you can add a few dashes of color here and there (while maintaining the integrity of the unity) to completely transform the look of your furniture. Furniture can make or break the overall look of your home. So, it is very important for you to keep your furniture looking new and stylish. I love your ideas, but I do think that there should be a disclosure that if you suspect that the piece of furniture is in good to fair condition and may be an antique, have sentimental value or may be made of fine wood, don’t do anything to it until you’re contacted someone knowledgeable to determine if the value of the piece would be diminished by redoing it. Some ideas I love, and some I’m not so keen on. The stencils look really cool, and I also like the contrast you’ve got going on by painting part of the furniture and leaving the top surface as natural wood. What a useful collection of tips. Also reminded me of a bunch of your projects I’d forgotten. I’m partway through refinishing my son and DIL’s dining room set, which used to be my parents’. (Paint and wood!) So the inspiration is helpful! My wife and I have been shopping for old furniture and saving money doing so. I think the rustic look is great for our new home, but I like some of these ideas. We have gotten some refurbished and touched up and it really made a big difference. Great idea Ashley! You are so talented. There are some furniture at my home as well and those need to be updated. The tips are great and thank you for sharing. I have a desk and chair that are a bit old, so I really appreciate these restoration tips. I like the idea of painting it a fun color, as well as stenciling it. Perhaps for the table, I can do the painting bit, and then I can upholster the chair. Thanks for the tips! I read your post and loved it. This is an amazing idea to renovate our furniture or giving a new look to our old furniture. I am also gonna apply these ideas on my old furniture so that I can give new look to my furniture as well as to my home. The idea to add a design to your furniture using stain was really inventive, and I thought it looked really nice. There are a lot of different stain colors available, so you could come up with a lot of different things to try. I also think the furniture painted all white looked really classy and well-done. I love the tip about painting furniture in a fun color. It draw attention to it and makes us like it the more. It sure is a money-saver. Also gives furniture a new life. Thanks for sharing! I love the suggestion in #4! Painting most of the furniture and leaving some of it as natural wood creates a great contrast in texture. Using a stencil design on the wood, like with the blue table you pictured, seems like a great idea as well. I definitely want to try that out with some of my old furniture. Thanks for the ideas! Great tips… Thanks for the share!!! Great idea! Everything is wonderfully crafted and I cannot wait to use your tips to create some of my own furniture! Thanks for all the information, everything in your article is explained carefully and clearly! I strongly dislike giving away perfectly useful furniture! It’s good to know that there are things I can do to give my furniture a new life. I love bright colors so I’ll definitely take your suggestion to paint my furniture a fun new color! I’ll also consider only painting certain parts of the furniture like you have shown. Thank you for these inspirations! Love your article, and the tips you provided to enhace the beauty of furniture.The colors are so pretty and the sanding was perfect to blend them together. You did such a great job.I am always rearranging furniture! I started as a teenager rearranging my bedroom and occasionally my college roommates would come home to find our tiny dorm rooms rearranged. This post inspires me to change things up in my home! It time for me to pull out the paint. Oh man I couldn’t have found this at a better time! I recently purchase a bunch of old wooden furniture at a local garage sale with the intentions of doing some art project. This has given me some awesome ideas! Thanks! I love the way you have posted about redo old furniture.This is the best way to make your home look appealing and fascinating.Not only this ,but it is highly cost effective and one can stick with their old plans by revamping furniture pieces. But today different types, shapes and sizes of furniture are available over the internet. One can simply choose any of their favourite type quite easily. It is also a fact that fully furnished rooms and homes looks extremely beautiful and entirely change the appearance of your home. It is possible to furnish a large room by arranging the seating on a central area rug, with accent and wall furniture taking away the emptiness of the peripheral areas. You are amazing Ashley. I like your idea. I would like to implement on my furniture products as well. I have liked your Ideas which makes me very happy because, I have huge old furniture in my house. My wife asked me for changing these but I am thinking how much need to change these furniture. Now, I am very happy because I don’t need to buy new furniture. I will make new old furniture following your way. Excellent ideas because buying a new furniture need serious amount. Following such ideas are really useful to add new a look to old furniture like rough country rustic furniture. Thank you for sharing. Love the ideas! I’m in the process of fixing up a 40+ year-old Boler trailer and wanted ideas for making it look great again! Love the textured wallpaper idea and may use it as a backsplash in the kitchen! Also, the idea of bright colours and reupholstering with cool fabrics makes me want to make new seat covers and curtains… the table in there is plain wood and now I want to paint and stencil it! Great post!! I think this is a brilliant idea to paint the furniture in such a way to highlight it completely or let it shine by keeping its natural texture intact amidst the other painted stuff in the room. Going to paint my tiny decorative vintage table. What wood paint brand would you recommend? I heard a lot of positive stuff about Rust-Oleum and I think it’s a good choice. It’s said (for example in this article https://woodimprove.com/best-paints-for-wood/) that this brand’s paints are easy to apply and they don’t need a lot of preparations which is nice for me. But it would be great to know your opinion which I find very precious. Hope you will answer. Appreciate, thanks. I super love these furniture ideas that you have shared! I am currently looking for furniture that will match my living room, and your post have helped me have an idea on what furniture I will get. :) Thank you so much for sharing, very helpful!